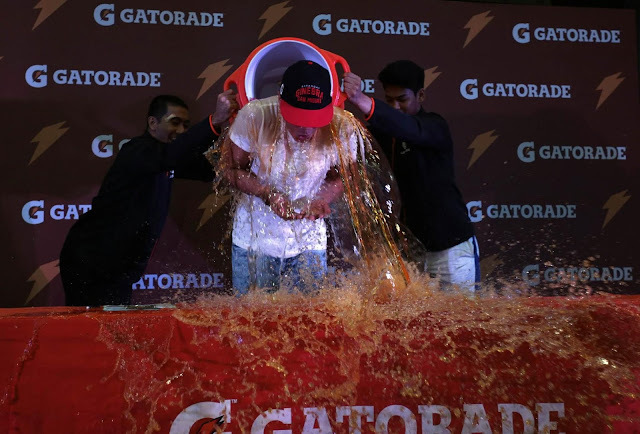 Gatorade recently welcomed Barangay Ginebra’s rising star Scottie Thompson as its newest ambassador. The shooting guard from Davao del Sur joins a powerhouse team of Philippine sports icons including Ginebra teammate and veteran LA Tenorio and volleyball superstar Alyssa Valdez. New Gatorade ambassador Scottie Thompson (center) gets a surprise ‘Gatorade Dunk’ from LA Tenorio (left) and Ricci Rivero (right). 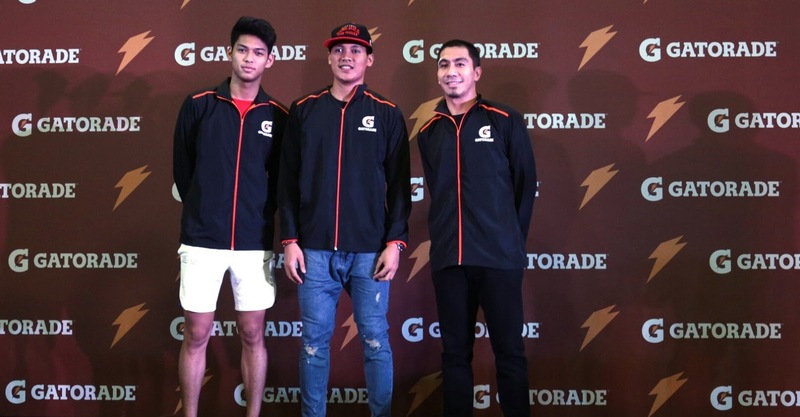 New Gatorade ambassador Scottie Thomspon (center) is flanked by UP Fighting Maroons’ Ricci Rivero (2nd from left) and Ginebra teammate LA Tenorio (2nd from right), together with Pepsico Philippines Marketing Director Mikey Rosales (left) and Pepsico Philippines Marketing Manager for Gatorade IC Sta. Maria (right). Thompson was the 2014 MVP of the National Collegiate Athletic Association (NCAA) while playing for the University of Perpetual Help System DALTA Altas. In 2015, he helped the Hapee Fresh Fighters win their first ever PBA D-League title. Fresh off that victory, he was drafted fifth overall by Barangay Ginebra where his outstanding performance has earned him praises from PBA fans, pundits and no less than head coach Tim Cone. He is dubbed as one of the league’s best rebounding guards today and his tenacity on court reflects the team’s ‘never say die’ mantra. Ginebra star Scottie Thompson (center) is joined by fellow Gatorade ambassadors—UP Fighting Maroons’ Ricci Rivero (left) and teammate LA Tenorio (right).